Paramount Pictures and Skydance Media‘s Mission: Impossible 6 is looking to light up the city of lights with explosive Tom Cruise action. 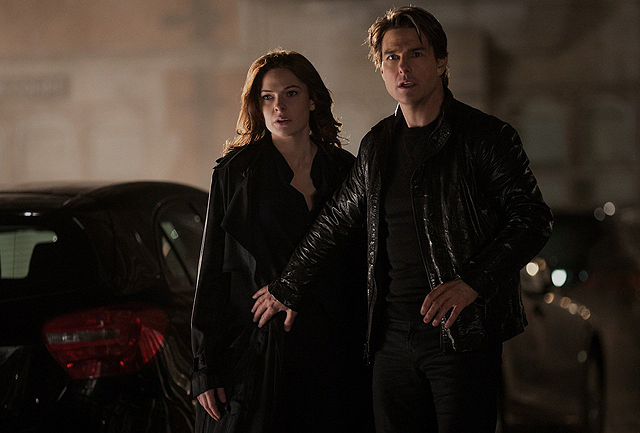 According to The Hollywood Reporter, the sixth installment is currently in negotiations to shoot in Paris either in the spring or summer, with the Ethan Hunt adventure coming to theaters on July 27, 2018. Mission: Impossible 6 is expected to begin production in the spring with Christopher McQuarrie, who previously helmed Mission: Impossible – Rogue Nation, once again writing and directing. Mission: Impossible – Rogue Nation, released in 2015, also stars Jeremy Renner (Marvel’s The Avengers, Kill the Messenger), Alec Baldwin (The Departed, 30 Rock), Simon Pegg (Star Trek, The World’s End), Ving Rhames (Pulp Fiction, Dawn of the Dead), Simon McBurney (The Last King of Scotland, The Theory of Everything) and Rebecca Ferguson (Hercules, The Red Tent). It’s a safe bet that many will be returning for the latest chapter with Ferguson confirmed to reprise her role. McQuarrie’s return to the franchise marks the first time a director has helmed more than one Mission: Impossible film. Brian De Palma directed the original adaptation, which was followed by sequels directed by John Woo, J.J, Abrams and Brad Bird. What do you want to see from a new Mission: Impossible film? Let us know in the comments below!